Tux, a very cute penguin, is the official mascot of the Linux operating systems. And now, thanks to Tux Walk, you'll be able to make this cute mascot move around your desktop to be able to provide it with a little bit more animation and to make sure that it isn't so dull. As such, Tux Walk is rather basic, each time that you open the application you'll see a penguin walking over your desktop, with the possibility to click on it with the mouse and drag it to a new position. 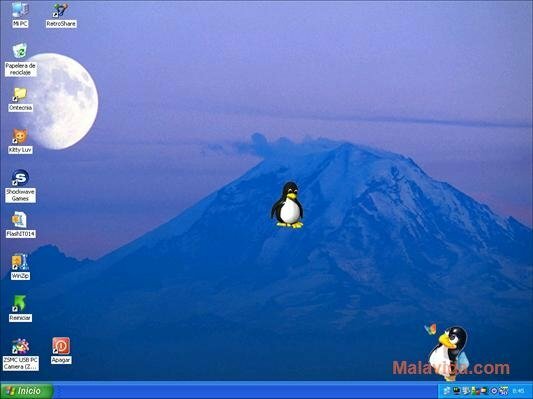 Once he reaches the taskbar, Tux will sit down and drink a can of soft drink. 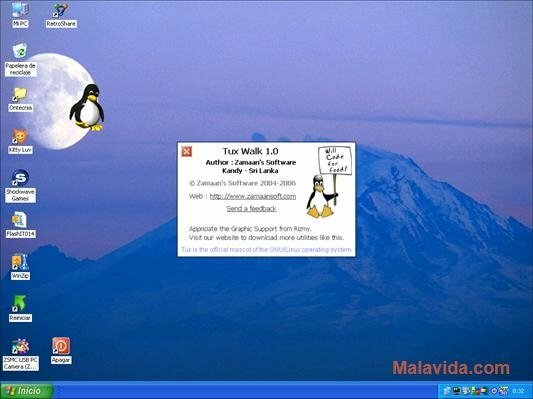 The options offered by Tux Walk are very few and you can access them by clicking with the right mouse button on the penguin. 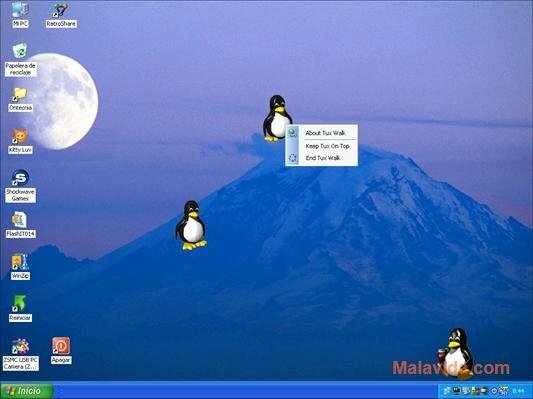 From this context menu you will be able to make Tux disappear or on the contrary make sure that he will always be visible on top of the active programs. Therefore, if you want to liven up your desktop and you like the mascot from the Linux operating systems, download and install Tux Walk on your computer, it's free.